The "History" behind "Women's History Month"
Fun fact: Women's history month is celebrated each March via Presidential proclomation. Fun fact: Origins of Women's History Month in the U.S. have been traced to local celebrations in Santa Rosa, CA. Fun fact: President Jimmy Carter began this tradition by marking March 8, 1980 as "National Women's Week." 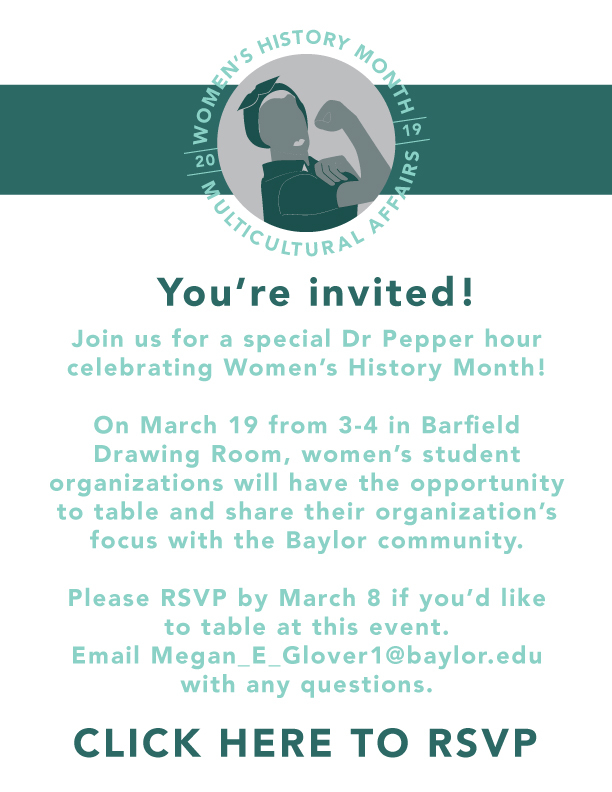 Fun fact: The theme for Women's History Month 2019 is "Visionary Women: Champions of Peace and Nonviolence." 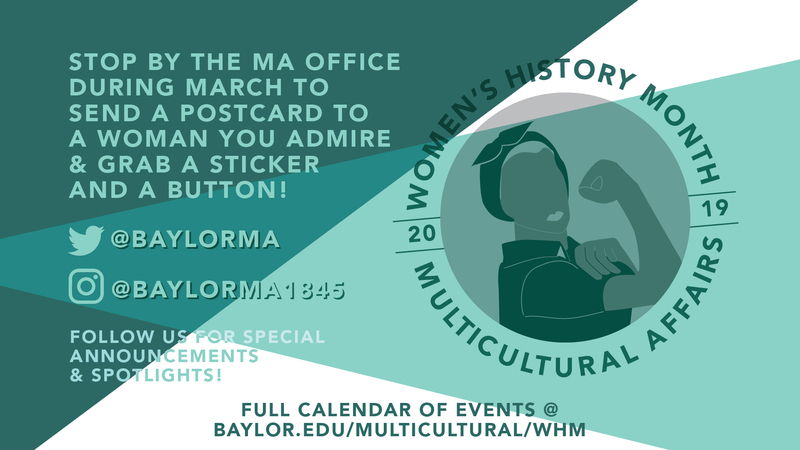 For more "fun facts," check out this feature about Women's History Month by the National Women's History Museum. 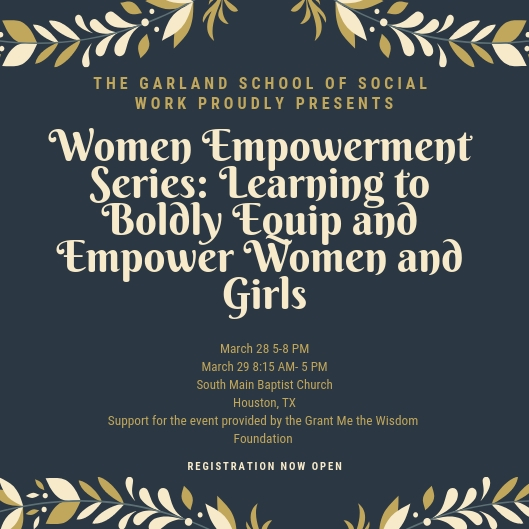 The goal of the Empowerment Series Conference is to equip practitioners and professionals across various disciplines in best practices that empower women and girls. Topics include: Empowering women and girls in areas of mental health, leadership and mentorship, and congregations. Thursday evening, we welcome keynote speaker Anna Coffey, Chief Executive Officer of The Women’s Home. Ms. Coffey has a background in social work, public health and law. She has served women in a wide range of roles from working with rural women in West Africa to helping women make smart decisions about health care. The conference opens Thursday evening and runs all day Friday. Registration is $25, including CEUs. Click the graphic to register! "It’s time to be inspired and to lift up one another."